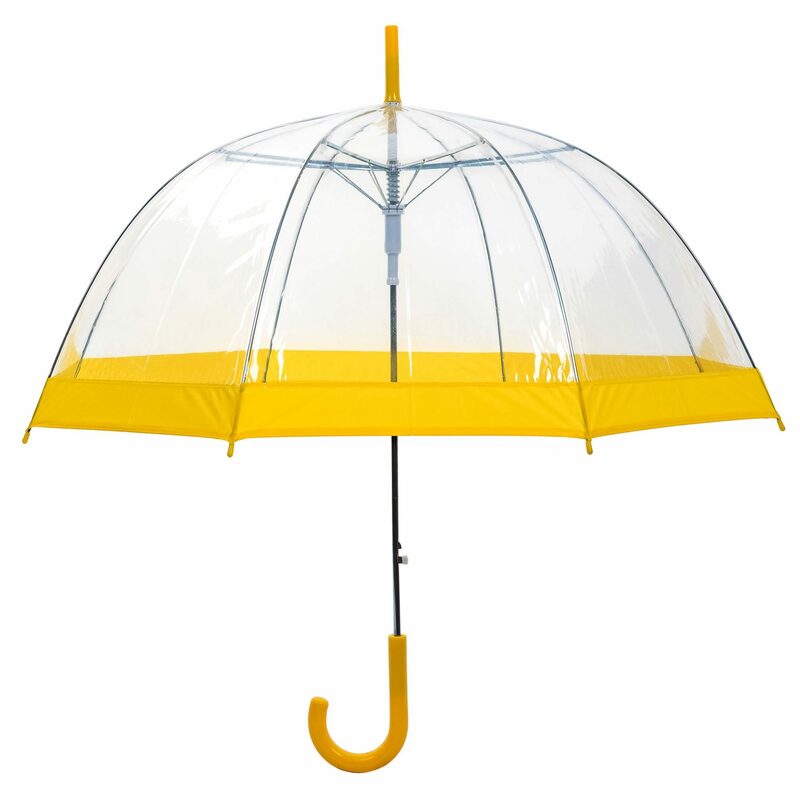 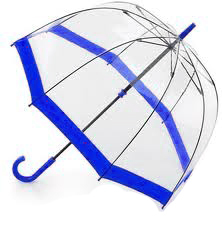 The Vision Clear Dome Umbrella with choice of coloured border, colour coordinated handle, spoke-tips and tops. 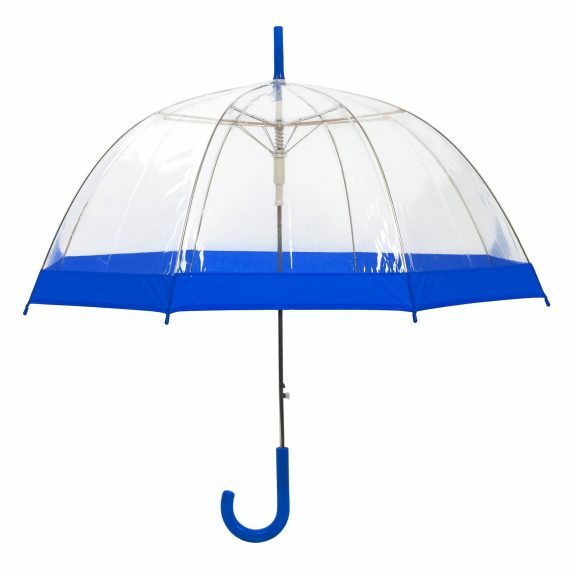 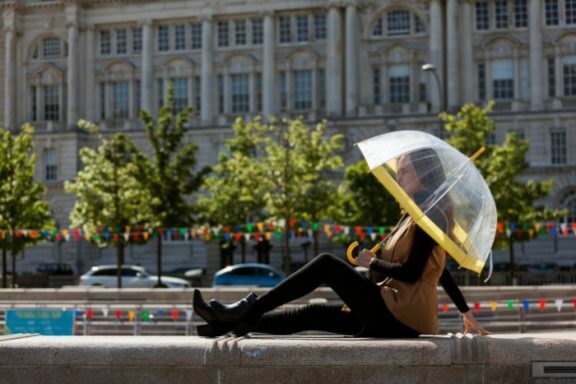 Vision clear dome umbrellas really are the perfect accessory. 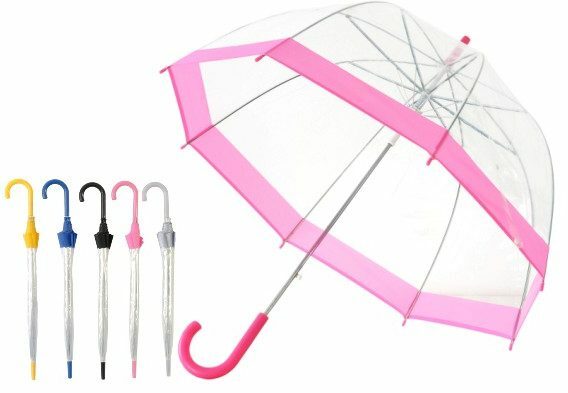 Vision Clear Dome Umbrella – Pink / Black / Blue / Silver / Yellow. 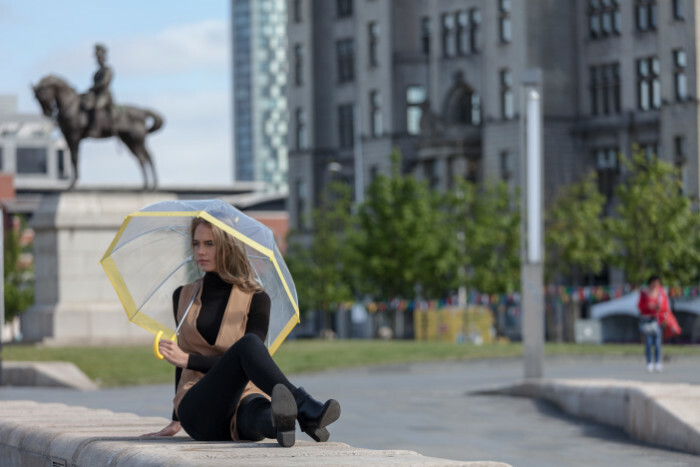 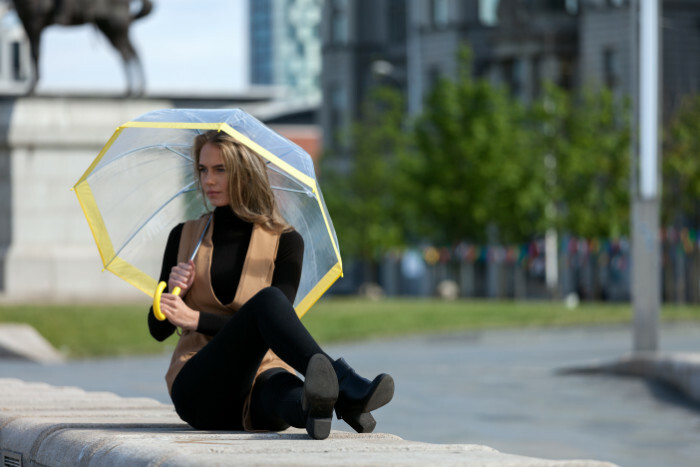 These striking umbrellas are perfectly clear so you can see where you are going whilst getting the extra head and shoulder weather protection afforded by that distinctive dome-shaped canopy. 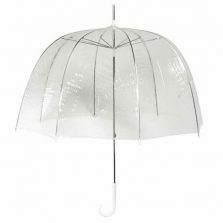 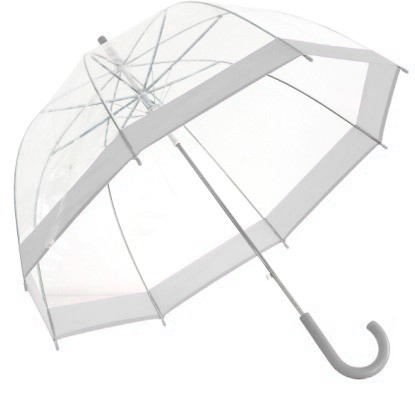 The Vision Clear Dome umbrella has a canopy width of 84 cm and length (handle to tip) is 82 cm. 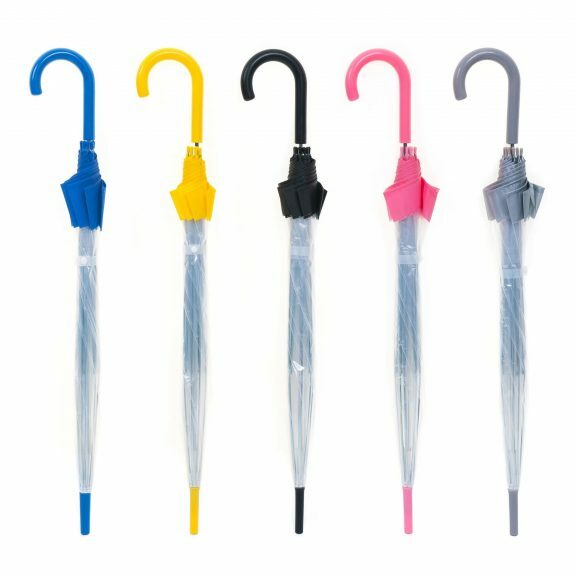 They all have an automatic opening mechanism. 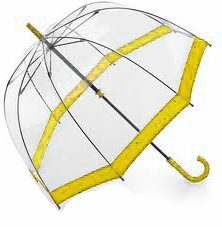 Choose from a clear dome umbrella with bubble gum pink trim, black trim, blue trim, silver trim or yellow trim. N.B. You might find that your new clear dome umbrella looks dusty when you receive it. 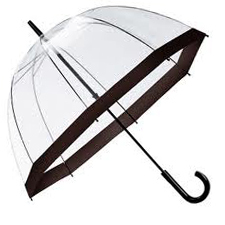 This is normal – it does not constitute a fault. 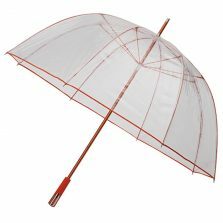 To avoid the material sticking to itself during transport, some clear umbrellas are dusted with a very fine talcum powder. This coating will simply wipe off with a damp cloth, leaving your umbrellas clean, clear and ready for use. Even with the powder we recommend you are careful when opening your umbrella for the first time, ensuring the canopy material has not become stuck to itself.